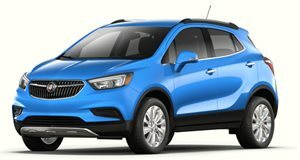 Buick’s Encore combines the affordable compact crossover with quality and refinement more befitting of the premium segment. Two 1.4-liter turbocharged four-cylinders are available, kicking off at 138hp, with the more powerful one offering 153hp. Both engines are mated to a 6-speed automatic gearbox, though buyers have a choice between front- and all-wheel drive. Standard equipment is generous and includes touchscreen infotainment, noise cancellation software, and split folding rear seats. Safety features include a reverse camera, 10 airbags, cruise control, and forward collision alert. 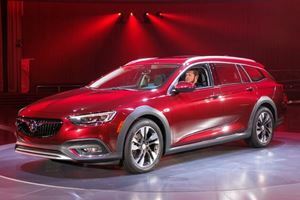 Buick’s smallest offering debuted for 2013 and became a surprise success, preempting the subcompact crossover revolution before others jumped on board. Refreshed for 2017, there’s refreshed styling inside and out to keep the Encore stylish, but the underpinnings remain the same as they did before, with two 1.4-liter turbocharged engines, front- and all-wheel drive, and one 6-speed automatic gearbox. While the mechanicals remain the same, so too does the refinement, which remains a high point for the Encore, setting it aside from the Chevrolet Trax with which it shares underpinnings. The 2017 refresh of the Encore has been an extensive one for the exterior design. There’s a new look up front, with the Waterfall grille now replaced by a more contemporary grille with two wings flanking the Buick Tri-Shield logo. New headlights feature double L-shaped LED daytime running lights with full LED functionality available on higher trims. The clamshell hood is also redesigned, and the fenders give the 2017 Encore a wider stance than before helping it look more aggressive. 18-inch 5-spoke ‘Midnight Silver’ aluminum wheels are new for 2017 and fill the arches well. Black cladding can be found around the front fascia and the wheel arches, giving the Encore the impression of offroad capability. The rear bumper is decked with black cladding and a silver crash plate, with a new chromed oval exhaust pipe on the right-hand side. The rear hasn’t received an extensive redesign, but new LED taillights are redesigned for 2017, flanking the large tailgate. The proportions remain the same as before, though, and from the rear, the Encore still looks broad at the base and narrow at the top - emphasized by a relatively tall ride height compared to other hatch-based crossovers in the segment. Up to 9 paint colors are available for the 2017 Buick Encore. Graphite Gray Metallic, White Frost Tricoat, Quicksilver Metallic, Coastal Blue Metallic, River Rock Metallic, and Summit White are all carried over from before, while three new colors are added to the available color palette for 2017, including Ebony Twilight Metallic, White Frost Metallic, and Black Cherry Metallic. Just like the pre-facelift Buick Encore, the 2017 model carries over the same engine and drivetrain options as before. A base 1.4-liter turbocharged four-cylinder with multi-port injection develops 138 horsepower and 148 lb-ft of torque. On Sport Touring, Leather, and Premium trims, a direct injection motor, also a 1.4-liter turbo, develops more power with 153 hp on tap and 177 lb-ft available. Irrespective of which engine you opt for, there’s just one gearbox available for the Encore, with a 6-speed automatic remaining on duty. All models by default drive the front wheels, with all-wheel drive available as an option on most trims. The base motor is highly disappointing, not just in outputs but in the way it drives. Despite being turbocharged there’s a distinct lack of pulling power with the 1.4T unable to really affect a strong pull-off or overtaking maneuver. The upgraded engine offers more grunt, with a broader spread of torque also making it more usable, but it’s really nothing to set your hair alight and the performance ranks as one of the Encore’s weaker points, regardless of the engine choice equipped. There is, however, praise for the 6-speed automatic gearbox, which does effectively manage the torque, shifting promptly and responding to inputs well. It also shifts smoothly, adding to the extensive levels of comfort the Encore provides. The direct injection motor, in addition to being more powerful, is also more economical, partially due to the standard automatic stop-start functionality equipped. The more powerful motor achieves EPA estimated consumption estimates of 34 mpg on the highway in front-wheel drive guise, which gives you to 476 miles range on the standard 14-gallon tank. The lower powered derivative will only achieve 462 miles on the highway thanks to 33 mpg highway estimates. The differences are more apparent within the city, with the base motor’s 25 mpg estimate equalling a 350-mile range, while the direct injection motor’s 28 mpg rating resulting in an extra 42 miles worth of range. All-wheel drive drops estimates by 2 mpg on both figures on the more powerful engine, while the base model loses 2 mpg in the city and 3 mpg on the highway compared to its front-wheel-drive counterpart. 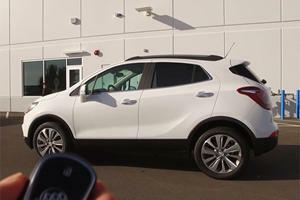 The 2017 redesign for the Buick Encore stretches to the interior as well, where a revised center stack sees the number of buttons reduced and the IntelliLink infotainment system upgraded to a touchscreen. What was once a complicated setup with far too many buttons is now a simple, straight forward system, and the 8-inch touchscreen is clear, high quality, and responds quickly to inputs - making it arguably one of the best infotainment systems not just in class but across the spectrum of automotive infotainment systems. The system incorporates a standard rearview camera, Bluetooth, USB ports, a built-in Wi-Fi hotspot, and satellite radio. Apple CarPlay and Android Auto are standard too to handle all your connectivity needs. Options available include a Bose audio system, power moonroof, and a navigation system. The updates do enough to keep the Encore current, but there are still too many buttons and too much clutter on the center stack. The Buick Encore seats five occupants in two rows, although you’d be hard pressed to fit more than two adults in the back with any sense of comfort. Up front, ingress is made easy by a step up into the comfortable driver and front passenger seats offering a good driving position and great forward visibility. The front seats provide ample head and leg room for the driver and front passenger, but the same can’t be said for the rear seats. Headroom is ample in the tall Encore, but legroom is a little cramped for taller adults and is better suited for children and teenagers, particularly for longer journeys. The rear bench does also feature two full sets of LATCH anchors for child safety seat insertion, but the IIHS only rated their use as ‘Acceptable’ due to the lower anchors being difficult to access due to their deep position within the seat. The default seating surfaces are upholstered in cloth with leather available as an option. Heated front seats are also available to add further comfort and luxury to the Encore. Overall, the quality is high and the cabin is highly refined. Noise-canceling speakers and high amounts of sound deadening result in a very quiet cabin, even at highway speeds, giving the Encore an air of luxury others in class fail to match. 18.8 cubic feet of storage space can be found behind the rear seats of the Encore, which is enough to handle the weekly grocery run of 6 large grocery bags or take the family away for the weekend with all the luggage you need. There’s also more space on offer than the Mazda CX-3 (12.4 cu. ft.) but the Encore is still well short of the Honda CR-V. Should you need more storage than that, the rear bench folds flat in a 60/40 split, though the mechanism is a little trickier than it should be. With the rear bench flattened, the Encore’s available storage swells to an impressive 48.3 cubic feet. In both instances, the Encore offers more storage potential than the BMW X1 (16.9/47.4 cu. ft.). But there is a party trick up the Encore’s sleeve, as the front passenger seatback can also fold flat, meaning the longest of items can be loaded through the cabin, provided you don’t need the extra seating. Throughout the cabin, the Encore offers numerous storage opportunities for smaller items, such as 8 cup/bottle holders, including rear door bottle holders that can accommodate a half-liter bottle, deep pockets on each of the doors, four different dash bins, seatback pockets, and extra bins under the floor of the of the load bay around the spare tire. The center console features two cupholders and a storage bin with a flip-down lid, while the rear seats have a flip down armrest with another 2 cupholders, and the glove box up front features upper and lower tiers. The Buick Encore rides tall - taller than hatchback-based crossovers like the Mazda CX-3 - and as a result, it feels like there is pronounced body roll around corners. However, the Encore is actually highly composed, even if it isn’t the kind of crossover you’ll be throwing around corners. It wouldn’t give you much joy to do so, either, as the Buick Encore is a vehicle devoid of much driver enjoyment and involvement. The steering is light and direct and responds well to inputs, but it offers minimal genuine feedback. Likewise, the suspension doesn’t really communicate much through to the driver. It filters small bumps and changes in camber out of the drive completely and does a superb job of ironing out larger bumps too. It isolates the occupants from the road with impeccable damping at any speed and on any surface, even mild dirt roads. Despite the comfort levels, it’s not a particularly wallowy ride, showing utmost composure at any sane speed. At low speeds, the Encore is highly maneuverable and the commanding view and direct steering make maneuvering tight spots a breeze. The Encore’s party trick is the refinement of its ride and the noise insulation. Noise-canceling speakers and loads of sound deadening do a fine job of keeping wind and road noise out of the cabin, which only becomes truly apparent when you reach highway speeds in near silence. Between the insulation, uncommunicative steering, soft, cosseting suspension, and the smooth automatic gearbox, the Encore completely isolates occupants from the drive. But the Encore does have a flaw - the two engine offerings are particularly weak. Even though the higher powered engine offers more torque and a broader spread of it, it just simply isn’t enough to see the Encore comfortable with overtaking without an abundance of space to do so. Like most modern vehicles, the Buick Encore is covered by an impressive warranty, with a four-year/50,000-mile general warranty and a six-year/70,000-mile powertrain warranty. In our time spent with the Encore, build quality seemed solid and the interior was devoid of rattles and loose panels. What’s more is that the mechanical architecture beneath the surface is tried and tested, not just since launch but from before them as the platform and engines have been used in numerous other GM products. It is worth noting there have been two recalls for the Buick Encore, in 2016 and 2017. These pertained to a faulty airbag sensing and diagnostic module being accidentally set to activate a diagnostic test, which would see the front airbags not deploying and the seatbelt pretensioners not activating in the result of an accident. For 2017 Buick offers the Encore in six trim levels: Encore, Preferred, Sport Touring, Preferred II, Essence, and Premium. The base Encore still features the standard 8-inch IntelliLink touchscreen, Apple CarPlay, Android Auto, a rearview camera, Bluetooth, USB ports, six speakers, a Wi-Fi hotspot keyless entry, push-button start, and 18-inch alloy wheels making it well equipped for the $22,990 base MSRP. The Preferred trim doesn’t offer additional features, just accessories, but it’s also the first trim line to offer all-wheel drive, not available on the base model. Both these lower trims are only available with the base engine. Sport Touring adds front fog lights and remote start functionality, as well as allowing for buyers to upgrade to the more powerful engine for an extra $895. $25,600 is the price of the base FWD Sport Touring. Preferred II bases itself on the Sport Touring trim, but costs $26,900 and equips the Encore with dual-zone automatic climate control, an auto-dimming rearview mirror, blind spot monitoring, and rear cross traffic alert. If leather upholstery is high up on your priority list, a step up to Essence trim carries an MSRP of $29,100 and includes the upgraded upholstery, 6-way power adjustment on the front passenger seat, heated front seats, a heated steering wheel, and driver memory function. Meanwhile, the top of the line Premium offering carries a base MSRP of $30,465 and features a 7-speaker Bose stereo and extra safety features like forward collision warning, lane departure warning, parking sensors, and rain-sensing windshield wipers. 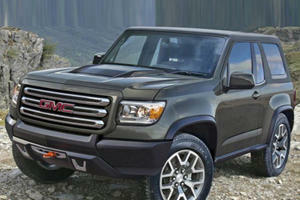 From Preferred trims upwards, $1,500 is the price of upgrading from front- to all-wheel drive. It’s a great pity the best safety features are saved only for the top-tier Premium trim, as it’s price pushes it into a category of larger, more premium vehicle, and safety should be more widely available. But that aside, the Buick Encore is, as it has been since 2013, a solid luxury proposition in the subcompact crossover segment. We recommend the Encore in Sport Touring trim with the more powerful engine upgrade, but that said, we only recommend it for those who want an appliance to get from A to B. If an involving drive is what you’re after, you’d be better off looking at something else, perhaps the Mazda CX-3 which offers a more engaging driving experience. It's a trend that's likely to continue, for better or worse.